Hello again everybody! I am once again scheduling a book tour and have spaces open for bloggers who are interested in joining the tour. 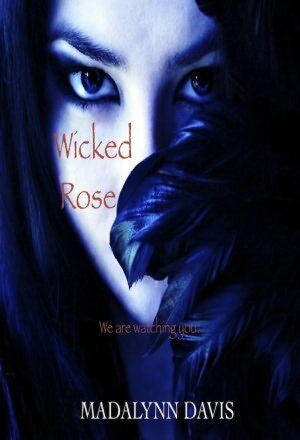 This time around, I am scheduling a book tour for Madalynn Davis' young adult book, Wicked Rose. If you're interested in hosting a stop on the tour, I can be contacted by email at: sarah.f.empey@gmail.com. Still reeling from her father's murder, sixteen-year-old Noelle Hart returns to Whisper Preparatory Academy, an exclusive private boarding school in the sleepy town of Whisper, Connecticut. 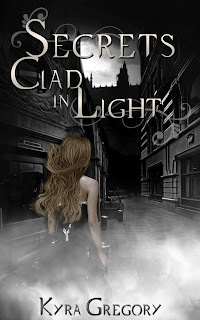 She tries to move on with her life, but things get off to a rocky start. Arguing with friends, dodging the overbearing Headmaster, and staying out of her nemesis' line of fire are almost her undoing. Until she meets Gabriel Merriweather.​Over night, Noelle's luck takes a turn for the better. For the first time in her life, Noelle is the girl that every other girl at school wants to be. Once and for all, Noelle is able to step out of her older, perfect sister's shadow and be the center of attention. At last, her world is perfect. ​But, all good things must come to an end. ​When one of her friends is brutally murdered, Noelle becomes the prime suspect. Noelle's world is turned upside down when she learns that a secret sisterhood known as the Hive may be responsible for her friend's death and others. If Noelle and Gabriel cannot fight their way through the labyrinth of lies and secrets surrounding the Hive, then she may be next. When people hear of a younger writer they often have this image of someone very inexperienced. 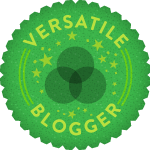 While I don't claim to be a perfect writer I can say that I am far from inexperienced because my road as a writer has been a long one. I've been writing novel-length stories for about ten years now starting with short stories, lyrics and fanfictions. From the beginning there were very few people who knew that I wrote anything at all. It was only after being caught writing lyrics for a song my friend had composed that I started being pushed to write more. At the time I wrote in order to save myself; to come to terms with things that I couldn't any other way. I never really thought I was particularly good at it, regardless of what readers told me. The thing that I loved the most about writing was that I got to do it from the heart; I was able to be open and honest about numerous issues and I was able to share these feelings with others. By my mid teens I had heard a decent amount of praise and more than a decent amount of criticism. After making adjustments I began to format the manuscript for one of my novels. Now, at this point, I didn't have the slightest inkling in me of "I want to be a writer!" but I thought it would be fun to test myself as a writer. I sent my novel out to six publishers that would accept work without an agent and got back four rejections, one acceptance and one remained unanswered. The problem was that there was a catch to that acceptance. I would have to, in their words, "make the gay couple a straight one" in order for it to truly be accepted and considered worthy for publishing. I always knew that there were going to be things I would have to change but I had never thought it would be something that would change an entire story. I wanted to be thrilled but couldn't be; the fact that I couldn't do things the way I wanted totally shattered me. I always knew the writing world was going to be competitive and that there were going to be things that people loved and hated but it never really hit me until that point that there were people who weren't going to be given a chance because of what they wrote. From then on I knew that I would never go back to traditional publishing. I was a control freak and I was proud of it; I wanted a hand in each and every part of the production of each project I was a part of and I wasn't willing to negotiate on that. I went on writing for years and in June 2012 I self-published a novella, Despair & Decision, through Amazon's KDP. On 10th September I'll be releasing my first book, Secrets Clad in Light in just a few months of self-publishing. It's been an adventure and I'm still learning as I go along but it's easily the best decision I've made. As long as I keep doing things this way I can keep writing in the way that I've always loved; honestly.